Donald Trump was sworn in as the 45th president of the United States on January 20. He took the oath of office in front a backdrop of five flags. Here’s what the flags represented. Presidential Letters to Successors: What Do They Say? Thank you for the information of US national flags. 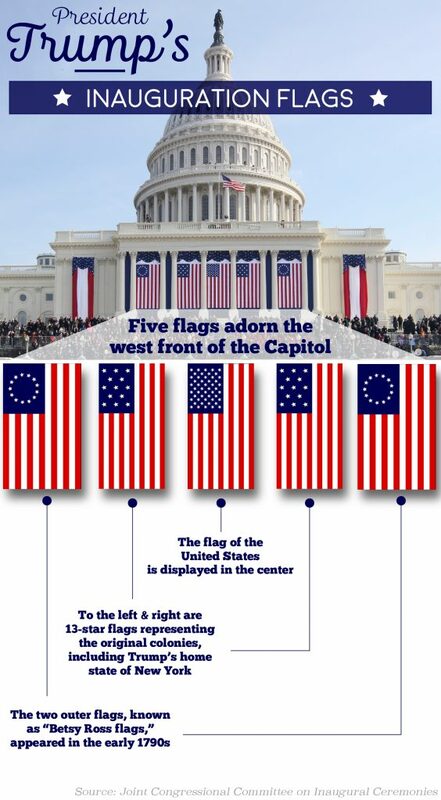 Please give me more information about “Betsy Ross Flags”.